Made with whole wheat and baked to a perfect, chewy consistency, the Original Bagel 4 1/2" New York style whole wheat bagel is a healthy spin on a breakfast classic. Each bite is a mouthwatering blend of chewy and doughy, easy to sink your teeth into and really savor. Plus, the whole wheat provides the added benefit of healthy vitamins and minerals, fortifying consumers to help them feel their best. It also provides a hearty, toasty flavor, which distinguishes it from a traditional plain bagel, without eliminating versatility. Pair it with original cream cheese, strawberry cream cheese, blackberry jam, strawberry jelly, peanut butter, or honey. Or, let customers unleash their imagination and create their own favorite combinations! For a more gourmet approach for the lunch menu, you can even serve the bagel with dill cream cheese and avocado, tuna salad with greens, or smoked salmon with grilled cheese. Delicious regardless of how it's served, this 5 oz. 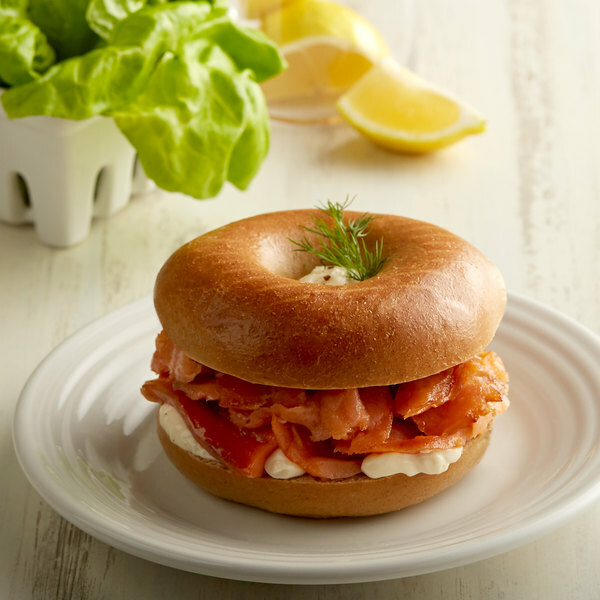 bagel is the perfect addition to breakfast buffets, cafeterias, cafes, coffee shops, diners, and hotels. Serve it at room temperature, heat it for a warm treat, or even toast it for some crunch! The sky's the limit with a good, quality bagel, and this bagel is just that. It's even kettle-boiled and hearth-baked for a truly superior product! 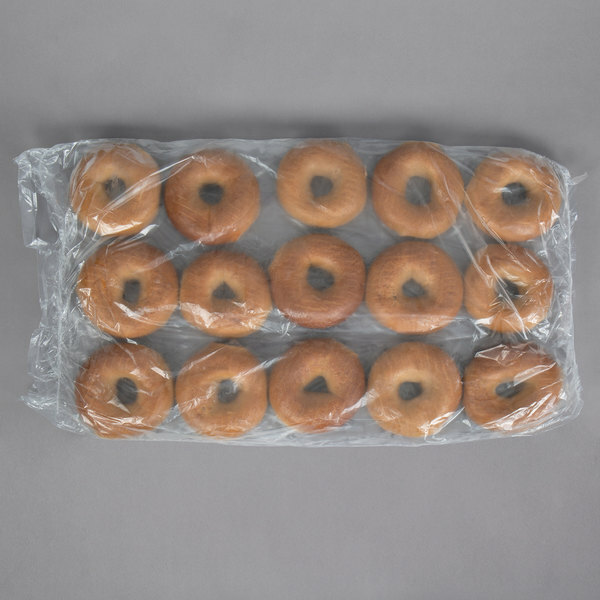 With humble beginnings in 1995, Original Bagel started its journey as a tiny Rhode Island bakery with a makeshift "proofbox" to provide fresh bagels to local bake shops and delis. The company quickly expanded into a large, from-scratch operation in New Jersey and has since become a leader in creating authentic kettle boiled, hearth baked bagels. Their success can be attributed to a combination of custom machinery, modern processes, and a team of bagel-baking experts, allowing them to produce over 2 million bagels per week while still maintaining an emphasis on quality control and premium ingredients. Plus, they are continually working to reduce their environmental impact and remain actively involved in the community, making Original Bagel a name customers can trust. Bring the unmistakable taste and craveable texture of a classic New York style bagel to your guests with the help of Original Bagel! 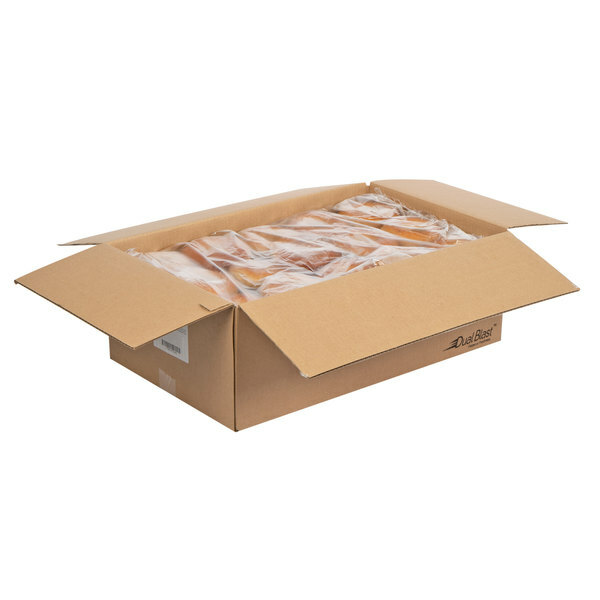 This item is certified Kosher by KVH Kosher. 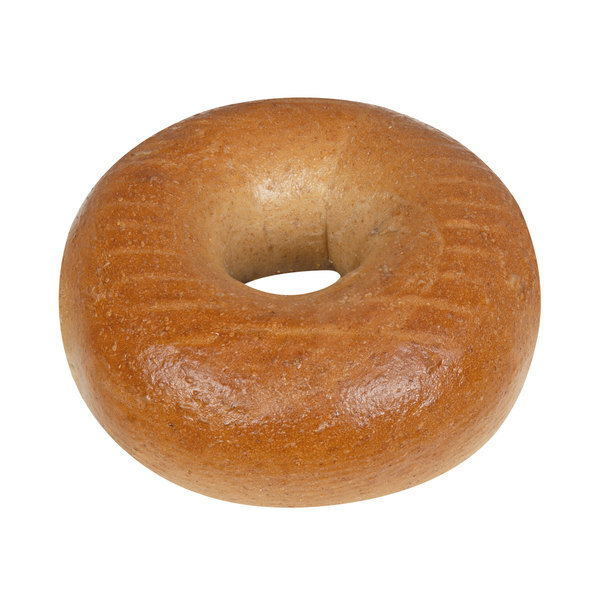 The Original Bagel New York Style Whole Wheat Bagel is a tasty treat for those who enjoy the taste and flavor of whole wheat. Pop this in the toaster for a tasty treat with the sweet flavor of whole wheat. Top it with cream cheese, jam, butter, or just leave it plain; you'll be happy you chose Original Bagel.